I was absolutely thrilled to be invited to the launch of the new ghd candy collection at the ghd studios in London. Being a Manchester gal, I dont get to visit the big city as much as I’d like, but when this opportunity came up, I had to book my trains as soon as I could. 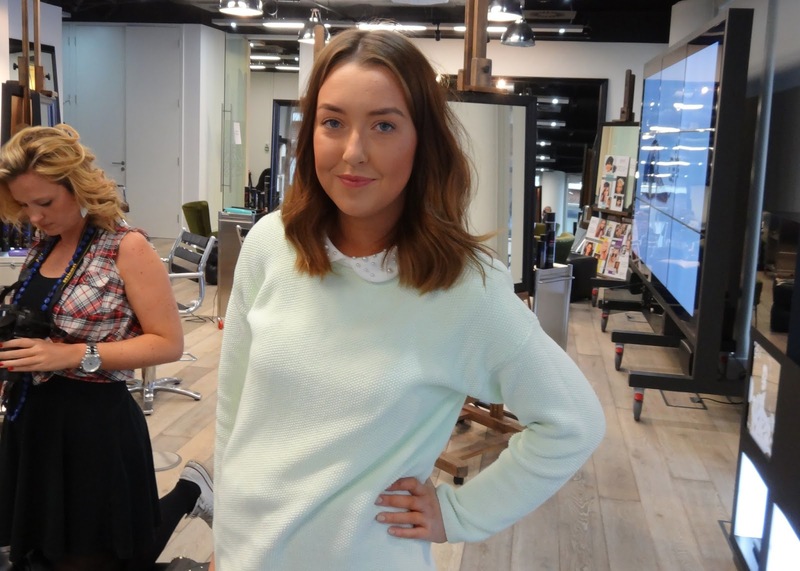 I have been a big ghd fan for a while and use a number of their styling products in my every day hair routine, so I was so excited to attend an event devoted to professional hair styling from one of the best in the industry. Adherent with the collection name, the wonderful ladies at ghd had laid out a candy buffet with flumps, marshmallows and all things sugar high. It was an absolute dream. Included in the event was the opportunity to watch a demonstration of this seasons hottest hair trends using the cute new candy stylers. 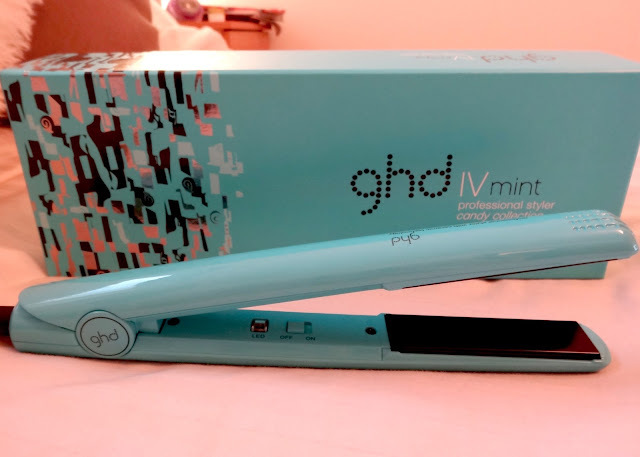 The ghd IV professional styler is award winning and available in three gorgeous colours for spring: yellow, mint and violet. I personally love the mint styler due to my love of aqua blues but the other two are equally as cute. The rounded body makes it perfect for forming curls and waves and the heat technology will make sure your curls stay put all day. They also use the same technology to shut off the straighteners if they are left on for a long period of time, which is always a bonus if you leave the house in a rush. The collection is out now and cost £110 each from ghd. 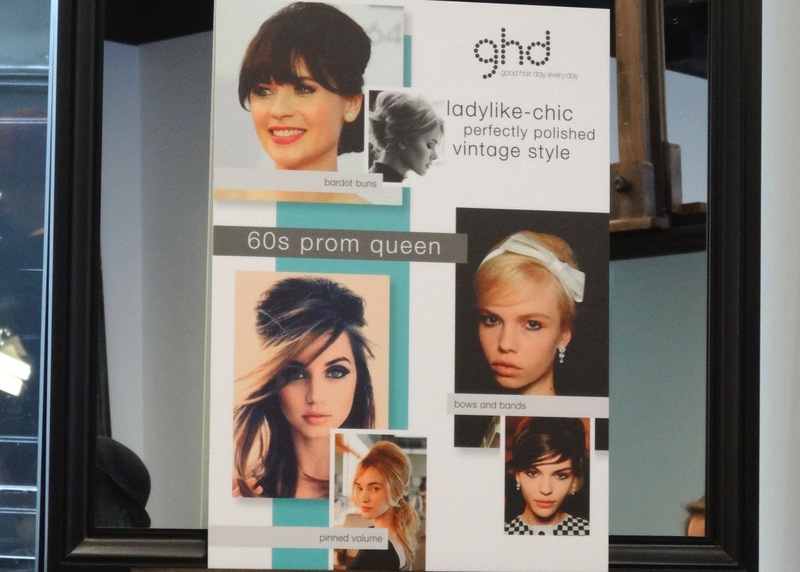 After the lovely ghd stylists demonstrated the three newest seasons styles, ‘Hello Pretty’ ‘New Grunge Glamour’ and ’60’s Prom Queen’ we were all eager to try them out for ourselves. Hello pretty is a braided and feminine style, perfect for a laid back yet polished spring look. New grunge glamour is a take on the natural and out-of-bed hair styles we have seen for the past few seasons yet with a more texturised and grungey look. 60’s prom queen incorporates the volumous, backcombed prom style from the 60’s yet without the polished-to-perfection appearance it once had. All taking a station to work at, we set to, recreating the styles in our own way all with a cute candy styler in hand. I attempted the grungey waves which I absolutely love and will be attempting again soon. Emma (from Milkteef) tried out the backcombed 60’s style whilst the lovely Laura (from Belles Boutique) opted for the grungy waves like myself. The other ladies also looked gorgeous with their take on the new seasons trends, trying out fishtail plaits and waves. For my first event it was absolutely fantastic and something I truly hope I am lucky enough to attend in the future. I was extremely grateful to be gifted the mint styler before I left and I will review it for you as soon as I can. Stay posted for an in-depth review and description of the styles for you to create for spring also. What do you think of the new candy collection? Do you have a favourite?